A tasty potato recipe which finds the spud presented in a potato parcel form which delightfully complements the main chicken kiev spruced up with garlic and lemon flavours. Delicious! 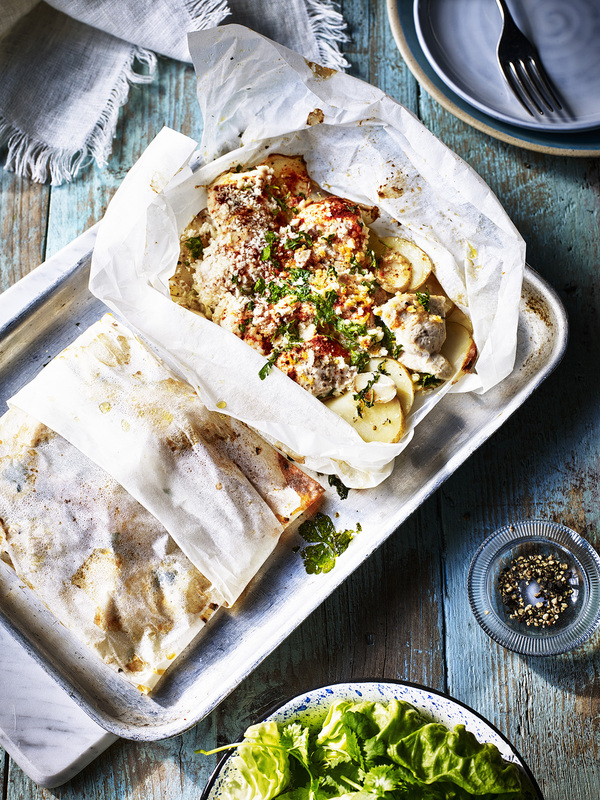 Lay out two large sheets of baking paper, enough to make a parcel around each chicken. Lay half the potatoes in each parcel then top each with half the butter and grate a clove of garlic over each one. Season well. Season the chicken and put on top of each potato layer. Sprinkle over the lemon zest and remaining garlic then top with the breadcrumbs and paprika. Sprinkle over the parsley and fold up the parcels.